CAP input was provided in a federal pre-budget submission and to the Fundamental Science Review and Innovation Agenda. A successful Joint Science Policy / CAP-NSERC Liaison Committee Town Hall meeting was held at the 2017 CAP Congress to promote engagement in science policy among CAP members. Developed material that promotes the benefits of CAP membership and encourages undergraduate students to join the CAP. Increase in international activity driven somewhat by new USA policies that impact the travel of international scientists. investigating ways in which the CAP can become more engaged with international organizations such as the APS, the US National Renewable Energy Laboratory (DOE) and the Asia Pacific Centre for Theoretical Physics. Improvements to the P.Phys. Professional Practice Exam and Continuing Professional Development (CPD) program. Impact of the recent changes to the Ontario Environmental Protection Act is being monitored. The CAP has many challenges. If we are to thrive as an organization, we need to increase the size of our membership. To do this the CAP must become nimbler and needs to provide greater value to our members. We also have to improve our governance model and ensure that all members of our community feel that the CAP is a welcoming scientific home. All Board Directors have goals for 2017/18 that we anticipate will help us improve in these areas and I look forward to receiving your input as to where you have seen improvements and how we can do even better. You will note that I have a new email address which will ensure that your messages do not get lost in the rest of my communications. Please use it to let us know what is working and what is not. Finally, four of our Board Members, Adam Sarty (Past President), David Lockwood (Secretary/Treasurer), Mike O’Neil (Director of Professional Affairs), and Jens Dilling (Director of International Affairs), reached the end of their terms at the June 2017 Congress. I would like to express thanks to them, on behalf of the entire Board, for their valued contributions over many years, both as Board Members and in their specific executive and portfolio roles. Their roles are being filled by Gordon Drake (Secretary/Treasurer), Daniel Cluff (Director of Professional Affairs), and Rita Kanungo (Director of International Affairs). Shohini Ghose has joined the Board as Vice-President Elect. I hope you will join me in welcoming them as new Board Members, thanking them for their commitment to the Association, and will be prepared, when approached by them and others on the Board, to play an active role in creating the CAP of the future. Enjoy the balance of your summer. Canadian science is on the precipice of big changes, and you can help make it happen. Although the rhetoric in the Naylor report is very exciting, the government is under no obligation to follow through on the report’s recommendations. The document is not a road map for implementing all of the recommendations, but it does outline some reasonable strategies for meeting the $1.3 billion dollars annual funding boost, and also offers suggestions for how to reshuffle funding governance. It is clear that implementing the Naylor report will take a considerable amount of financial and political capital. The CAP has recommended adoption of the recommendations contained in the Naylor Report in its pre-budget submission (https://www.cap.ca/publications/cap-news/) to the Federal Finance Committee responsible for the 2018 federal budget. We also need advocacy from the physics community to make clear to politicians why fundamental science in Canada needs this expensive reworking. It is important for each of us to keep communicating the value of our work to everyday Canadians. If we can help the general public to appreciate and value Canada’s science advancements, we make a strong case to MPs and Ministers that implementing the Naylor report will help Canada. 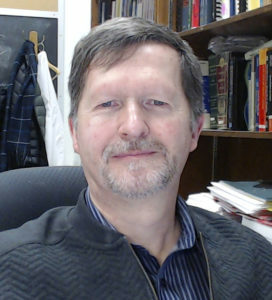 To lend your support, visit https://www.cap.ca/about-us/committees/science-policy-committee/the-naylor-report/ or contact our Director of Science Policy, Kris Poduska (kris@mun.ca). The 2017 CAP Congress was held May 29-June 2, 2017 at Queen’s University in Kingston Ontario. 521 registrants attended throughout the week to learn about the latest physics research and professional practice, to network, and to be updated on the CAP and latest matters of science policy and funding. The Herzberg Memorial Public Lecture featuring Dr. Art McDonald, co-recipient of the 2015 Nobel Prize in Physics was one of the many highlights of the Congress. In addition, the CAP and its Divisions recognized excellence in physics research, teaching, service and student presentations through the presentation of Medals and Awards at the well-attended Awards Session at the end of Congress. Our thanks go out to the Local Organizing Committee, chaired by James Stotz and David Hanes, and the more than 60 student volunteers that made the Congress a success. The 2018 Congress will be held June 11 – June 15, 2018 at Dalhousie University, Halifax, NS. The co-chairs of the Local Organizing Committee are Harm Rotermund and Ian Hill. 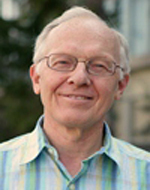 The Program Chair is Bruce Gaulin, CAP Vice-President (gaulin@mcmaster.ca). We invite members to contact Bruce if they have suggestions for plenary topics, special sessions, or if they have input on what worked well (and should be maintained) or what could be improved for the 2018 Congress. the CAP had a full-time Communications Coordinator in the office until the end of June, replaced for the near term with a communications professional on a part-time consultant’s contract. A request for proposals has been sent out for a new “customer relations management” (CRM) system for the office, which when implemented will greatly improve the CAP’s ability to process memberships, event planning, and communications. All in all it has been an exciting year that sets the foundation for the CAP to tackle other aspects of our overall Strategic Plan. The CAP, once again, used social media at Congress 2017 to share snapshots of the conference and important information. In keeping with the CAP’s ongoing strategic communication plan, after Congress we created a report to evaluate this social media activity to measure our success and determine what steps the CAP can take to strengthen and grow its social media presence. During Congress 2017, the CAP gained followers on Facebook and Twitter, and saw a surge in the number of impressions our content generated. Content that made physics relatable to more general audiences was more popular and had a wider reach – in some cases far beyond our own social media followers. Knowing who our social media audiences are (and that they may not be the same demographics as the CAP’s membership) is key to seeing growth and success on these platforms. Inviting two-way engagement with our audiences and posting/tweeting consistently are two strategies that can help us grow our social media presence moving forward. It is encouraging to know that social media is a valuable tool the CAP can use to share and celebrate physics in Canada. The CAP’s Communications Strategic Plan is a work in progress. As always, we look forward to hearing your feedback and your comments about any aspect of the plan. Please email your input to the Communications Coordinator at capcomms@uottawa.ca . CAP member Paul Corkum of the University of Ottawa has been awarded one of the 2017 Royal Medals given out annually by the Royal Society in the UK to honour researchers who have made exceptional contributions to science. Corkum received the £10,000 Royal Medal for his contributions to laser physics and for his pioneering work in the new field of attosecond science. Corkum has demonstrated how attosecond (10–18 s) optical and electron pulses can be created by controlling the interaction between laser light and matter. Using such short electron pulses, he has also made the fastest ever “real-time” measurements and combined them with sub-0.1 angstrom spatial resolution. This technology will allow scientists to perform simultaneous measurements at the fundamental space and time scale. Corkum will be formally presented with his medal at an awards dinner in the fall. More information about the Royal Medals can be found here. The third issue of 2017 will be a theme issue on Physics Outreach in Canada which is scheduled to be out to members/subscribers by the end of October. The papers in this issue will discuss various physics and science outreach activities taking place all across Canada. Guest Editors for this issue include Marina Milner-Bolotin (University of British Columbia) and Sarah D. Johnson (Simon Fraser University). Visit our Physics in Canada website at http://www.cap.ca/pic-pac/ for the full, searchable, archive of published issues.